I guess this site might now go the way of the shopper points one. Raffles. Thank you very much for all of your efforts over the years, I have benefited greatly from your insight and analysis. I hope that there is room in the ‘new world’ for your excellent website. I think the 90% of our readership which travels heavily (but rarely comments) will be just fine. Remember we have 30,000 regular readers of which 100 provide all the comments. As we never wrote about churning we won’t have the SP issue of losing content. While we all have our personal opinions on various commentators, at least the comments generally are much more useful, beneficial and erudite than those on the US blogs. Thank goodness. never wrote about churning? really? 1 annual article clarifying the sign-up rules out of 1,100 published articles kind of proves my point …. Hoorah, at least with the articles on churning becoming less frequent there will be more room for reviews from obscure airports showing ‘lounges’ containing 3 plastic chairs and a water dispenser, plus more articles on how to bore yourself to sleep at the Emirates stadium using points, and of course let’s not forget Dubai. Shopper points? That’s the site which has hardly any articles anymore because Tesco stopped doing nearly all the promos due to blatant abuse? Soon the trough here will be just as empty due to all the greedy swines who’ve been busy stuffing their cheeks. If you’ve been reading this blog and only get your majority of points from churning, then you’ve been seriously missing out. HfP is about far more than churning. Oh, and as I don’t travel for work, none of my Avios come from flying. How does supplementary card for Amex platinum work? Can I give 1 card to someone and then close it and switch it to someone else after couple months to save the fee for the 2nd one? Is the fee for the 2nd supp card on a prorata basis? Don’t see why not but they might detect something it up. Why the need to move the free supp card? As Amex fees are all pro-rata, guessing this will be too. Jump on a web chat with them and ask. You can give a one platinum supplementary with the same benefits of the main card for free. You can also give a couple of gold coloured supplementaries for free on top of that with no added benefits for the holders IIRC. Does anyone know if this affects the international euros and dollars platinum cards? Nothing has been said here that would indicate any effect on them. Seems very short-sighted. I’ve started putting most things on my no foreign-transaction fee US cards. I have the free BA and the Gold, and will probably close both of them this year and wait two years to apply again. Hi there, does anyone know if the upgrade offer (20,000 MR points for 1k spend within 3 months) to go from the Gold credit card to the Platinum card is still available? It was never available from Gold Credit, only Gold Charge. Still there if you google. Churning was something I did approx every 2 years, I generally kept the Gold Charge card for about 11 months, then upgraded to Platinum, referred my other half, and cancelled after a month. I would also self refer the SPG card, cancelling after I achieve the initial spend. My other half would repeat the above, and we’ve been doing this since approx 2013. I have never churned the BA card. The upgrade from Gold to Platinum is gone, and I think the SPG cards clash with Gold/Platinum, so a hefty reduction but the game is far from over. -Learning about EU261, I credit HfP with a massive successful claim (Avios long haul redemption booked but not “ticketed”, so was denied boarding, for of us so 2400 Euro ). -Reading about things I would otherwise not have a sniff off, such as super low tax HKG redemptions and IHG Ambassador. -I even have a lovely suitcase I got from BestSecret I think that was £50 off, so I only paid £9. I still have the free watch. -I’ve have kids now and I still refer to the flying with kids articles. HfP is much much more than churning. Amex may well just block you quickly for doing that, then you have lost out forever. Keep a cool head on this. Ahhhhh what a massive shame! Avios has been hobby and means to a family holiday each year for me since 2016! Even since then I’ve noticed the gradual erosion if offers and points which I understand were even more lucrative than when I started collecting. 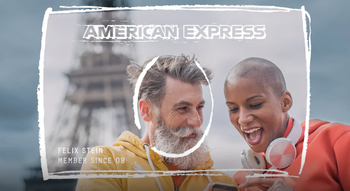 I would churn the gold card each year get the 20,000 points and combine with my points from my BA Amex and Clubcard to have enough for me, my partner and our daughter to take an annual holiday to somewhere in the 7,500 points bracket. Still all booked for Dubrovnik this year though which I just wouldn’t be able to afford otherwise. Have also noticed recently that clubcarlson/RR has upped the price bracket for all the UK hotels that were 9000, to 15000 and then 28000 points. I used the one in Walsall that was 9000 points about ten times as a bargain stopover on the way up to a regular Manchester trip – the conversion from Amex points to RR was 3-1 so with a 20,000 points bonus you basically had a week’s stay somewhere for free. Best ever for me was Tune hotels 1p London hotel rooms about 10 years ago, had about 3 or 4 trips out of that! I cancelled the free BA Amex card in May last year. Does the 24 month “look back” still apply or is it for cards cancelled from the date these changes were announced? Yes it is retrospective so still applies. But i just got the gold card ~4 months ago, and the new Virgin Atlantic card in Feb, and this would be 2 new Amex cards. My credit score is high, but will Amex be cool with giving me my 3rd and 4th new card in less than 6 months?